Q. 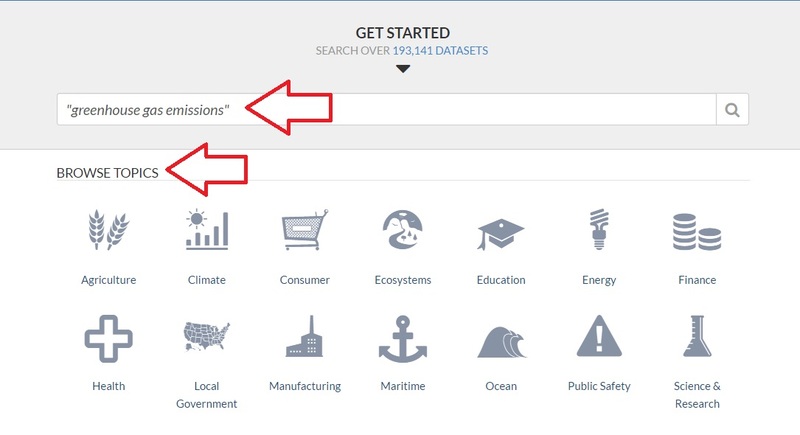 Where can I find statistical information on environmental issues ? Where can I find environmental statistics? 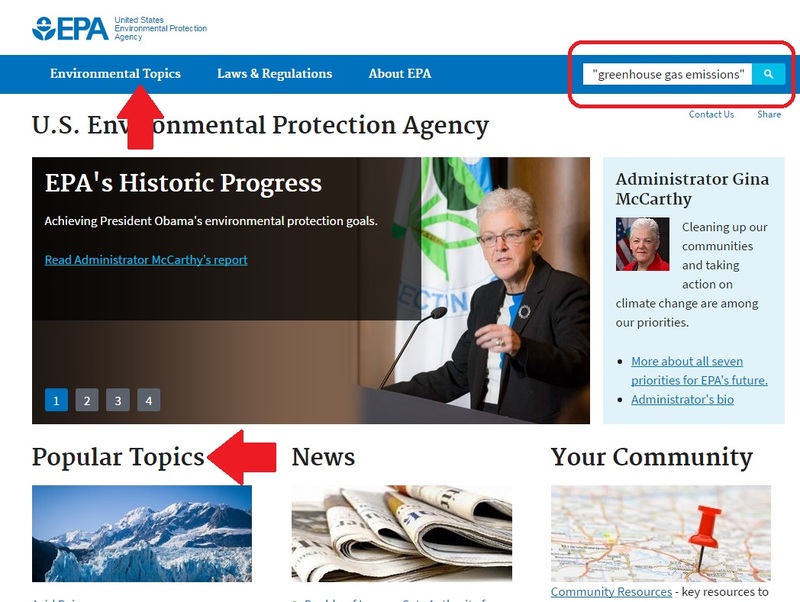 Government and non-profit organizations collect and publish statistics on many topics, including environmental issues. Scholarly articles will also sometimes include statistical information. Academic journals will usually provide scholarly articles which analyze and discuss statistics rather than providing individual datasets. 2. Enter search terms into the search bar. 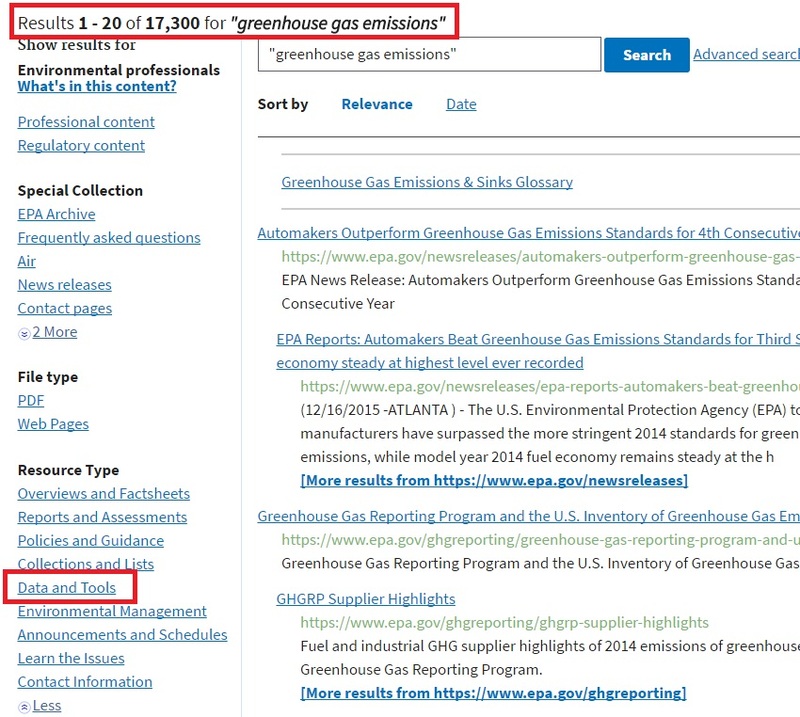 In this example, "greenhouse gas emissions." 3. Note, you can also browse topics if you are unsure where to start or want to explore. 4. This search returned 17,300 results, but not all include statistical information. To narrow this down, go to Resource Type in the left sidebar. Choose "Data and Tools." 5. This brings our results to 197. You can further narrow down this topic with additional keywords or the filters in the left sidebar. 2. Enter search terms into the search bar. In this example, "greenhouse gas emissions." You can also browse by topic. 3. 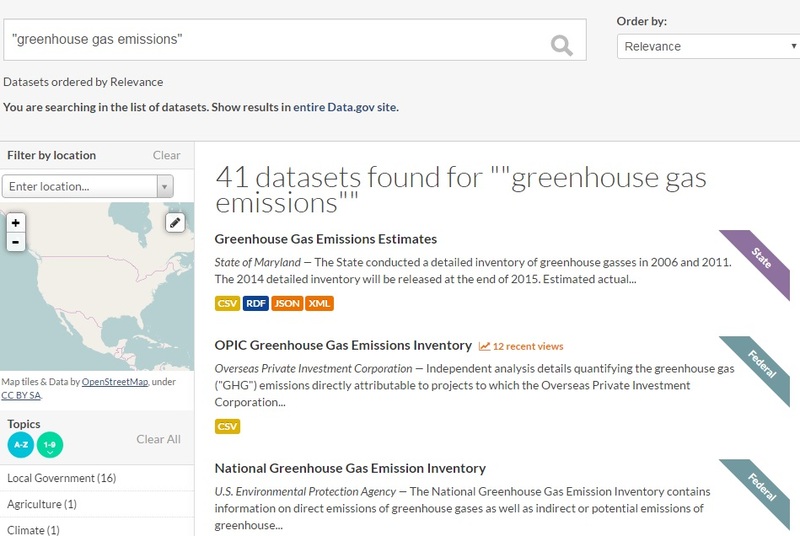 You result list will show available datasets which you can view and download. You can narrow results using the filters in the left sidebar. 1. Open ProQuest Research Library: Science and Technology. 3. Narrow results down by choosing Source Type and Document Type as Report. This is more likely to be statistical information. However, articles from scholarly journals can also include statistics in tables, charts, and diagrams. 1. Go to Academic OneFile. 3. Here I've narrowed my results down by choosing only documents categorized as Reports because they are more likely to be statistical information. However, articles from scholarly journals can also include statistics in tables, charts, and diagrams. 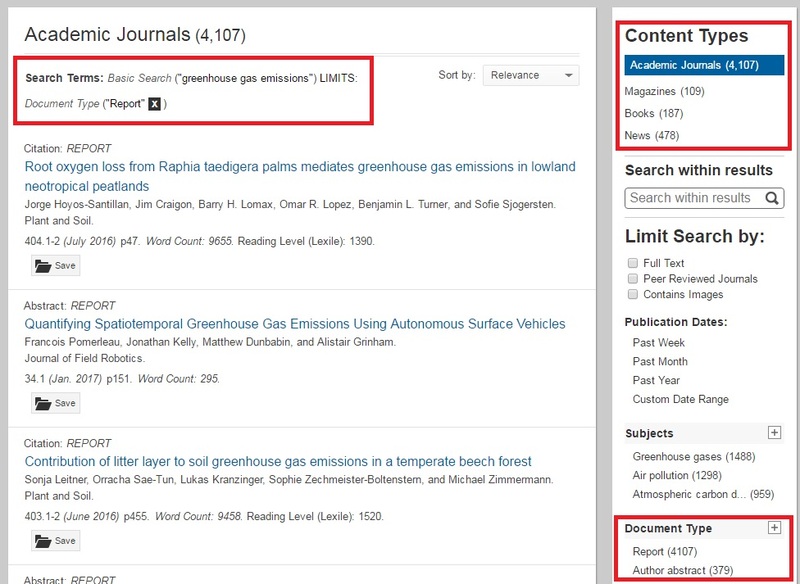 You can also view reports from different sources, like journals, books, magazines, etc. (see top right corner of above image). 1. 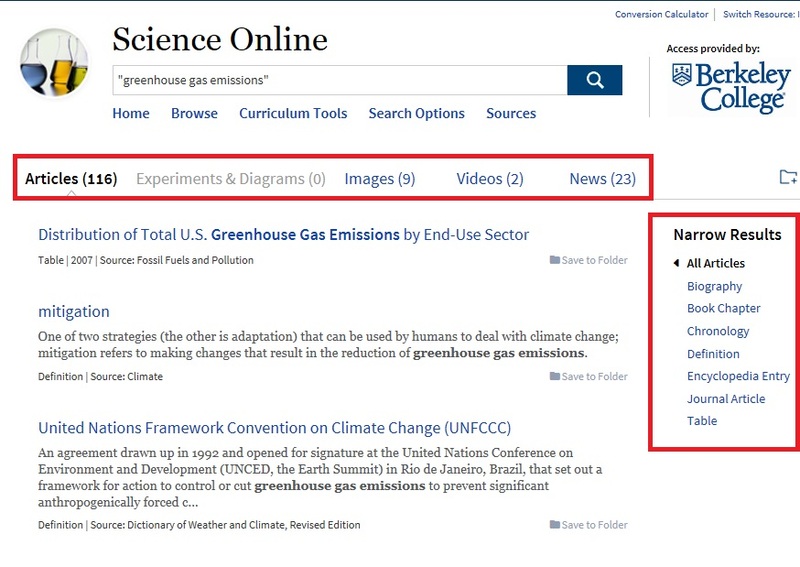 Go to Science Online. 3. You can narrow your results by type of resource (right sidebar). You can also view document type using the top bar. Categories like Experiments & Diagrams and Images are more likely to have statistical information. However, articles from scholarly journals can also include statistics in tables, charts, and diagrams.